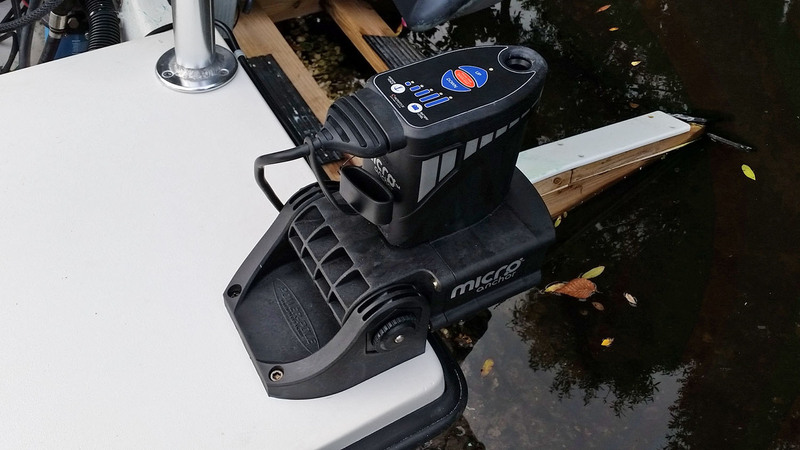 Well, I hope everyone got some new gadgets for their boats for Christmas. 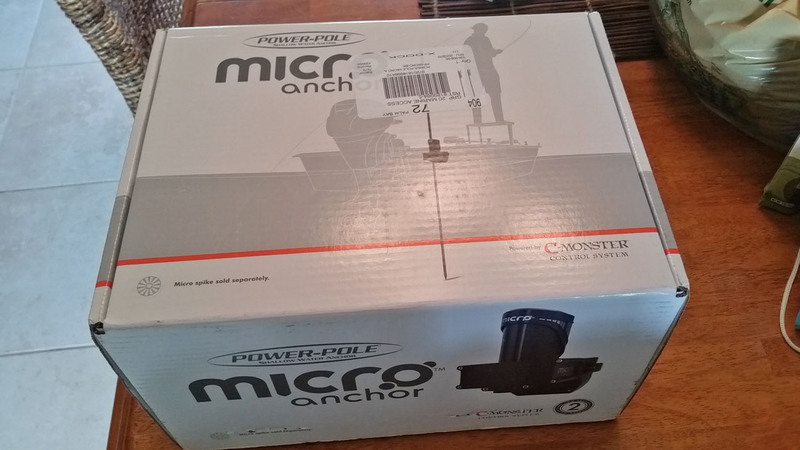 I got the new Micro Anchor from Power Pole and I’ve been dying to get one for 8 months because I knew how much it would revolutionize the type of fishing that I’m doing on the flats of the Indian River here in Central Florida. It really is a game changer, especially since I’m often by myself just before work. 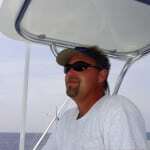 The ability to silently stop the boat with the push of a button around my neck is solid gold. Installing it jumped the line of all other projects, both boating and domestic. 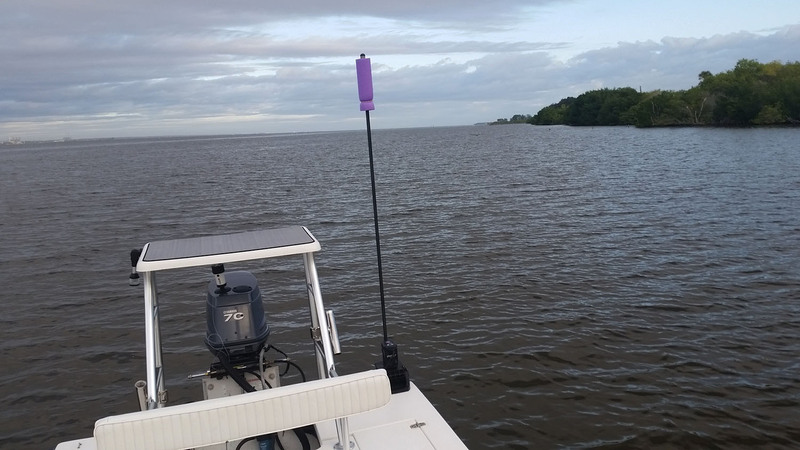 Each boat project is unique and I like to spend a little time analyzing all the benefits and possible issues with placement of any new equipment. Often you will find that small custom tweaks are required to fit each individual situation. That was the case of course with the Micro Anchor. The mounting bracket is held on with bolts and the placement is determined by access to the backside and function of the unit of course. I found a suitable mounting spot, but I could only get access to three of the four bolts. The fourth corner had no access so I used a screw here instead knowing that three of the four mounts were bolts with large washers and would give plenty of support. 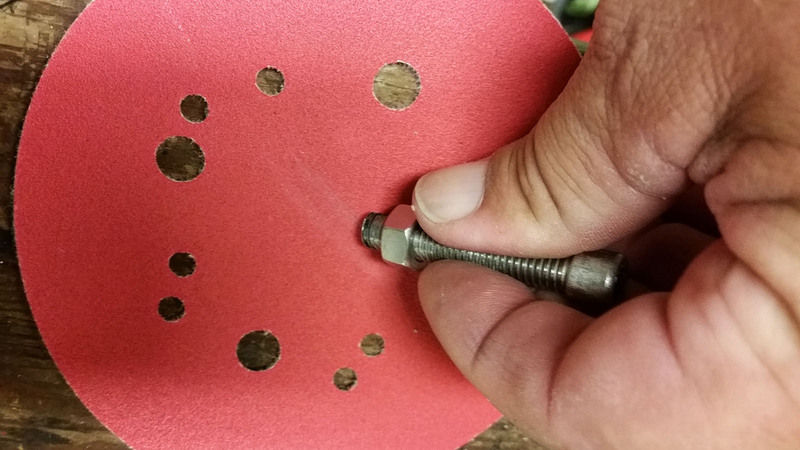 I marked the holes and drilled the proper size for the bolts. When I dropped in the stainless bolts, they were way too long and would be sticking out under the lip of the cap. Also the washers were too close to the hull to go onto the bolt in two spots. A custom tweak was in order. I inserted the bolts and marked the bolt with a permanent marker, allowing enough distance for the washer and lock nut. 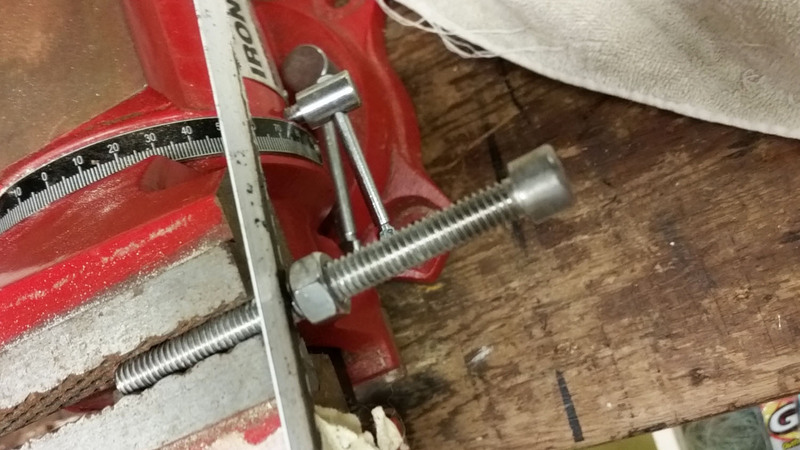 Measure twice, cut once is still the golden rule. 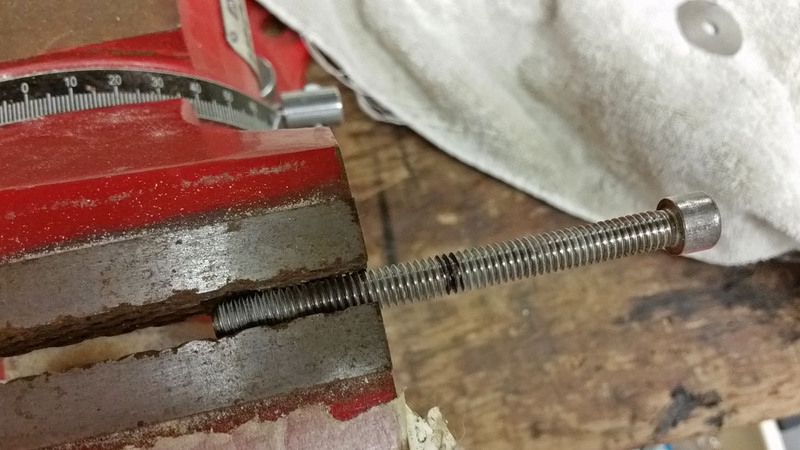 Now thread a nut up the bolt and place it on the “good” side of the mark. 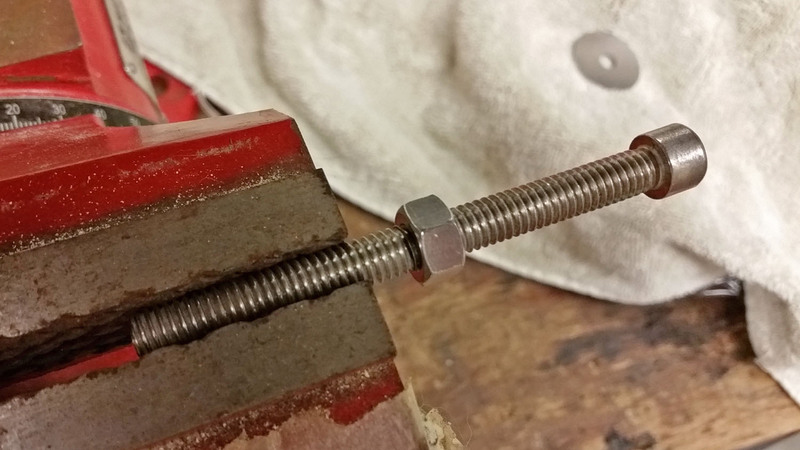 You can squeeze the bolt like this because you are not worried about the threads on this end. 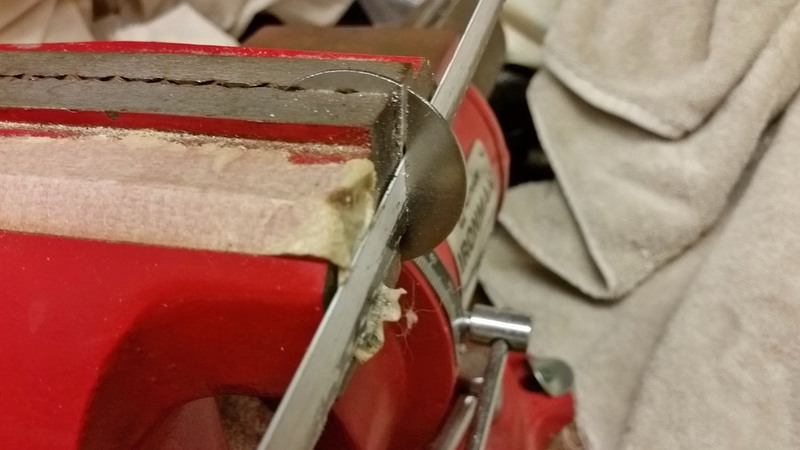 Cut the mark with a hacksaw, taking care to go slow near the end to keep the cut as clean as possible. 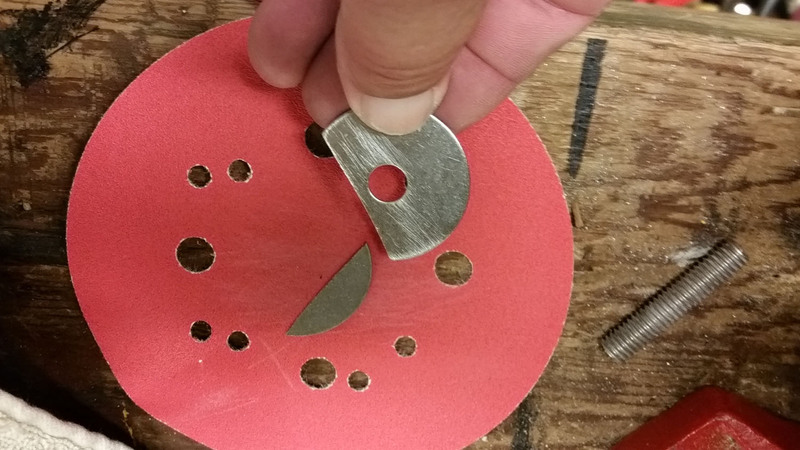 I sand the sharp edges of the cut on sandpaper until they are smooth. 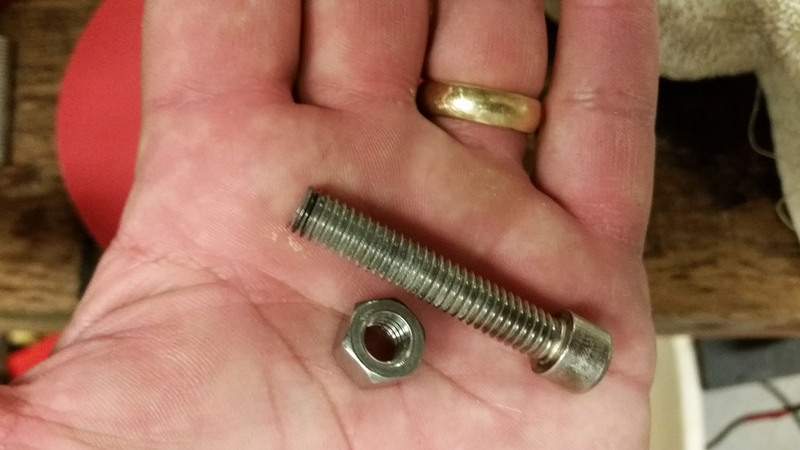 Now when you remove the nut, it will clean the threads of any debris or burrs. I also marked how much I needed to trim the washer to allow it to clear the side of the hull. Cut it with the hacksaw. Sand the edges smooth with the sandpaper. 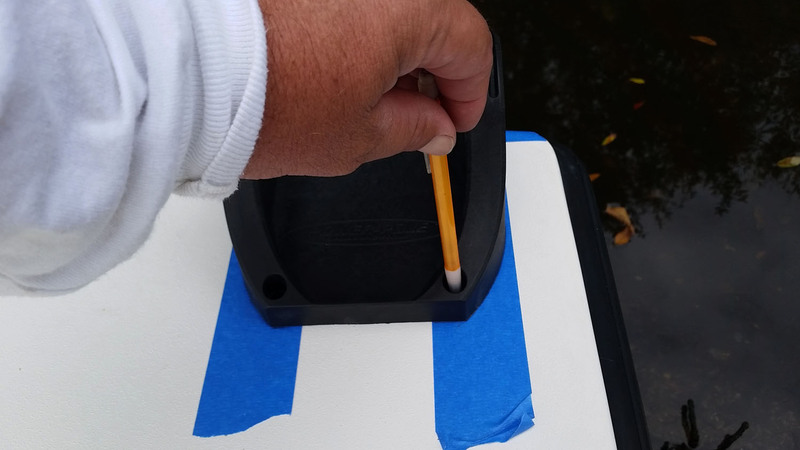 Now test your bolt length back on the boat and dry fit everything before you break out the caulk and do the final mounting. 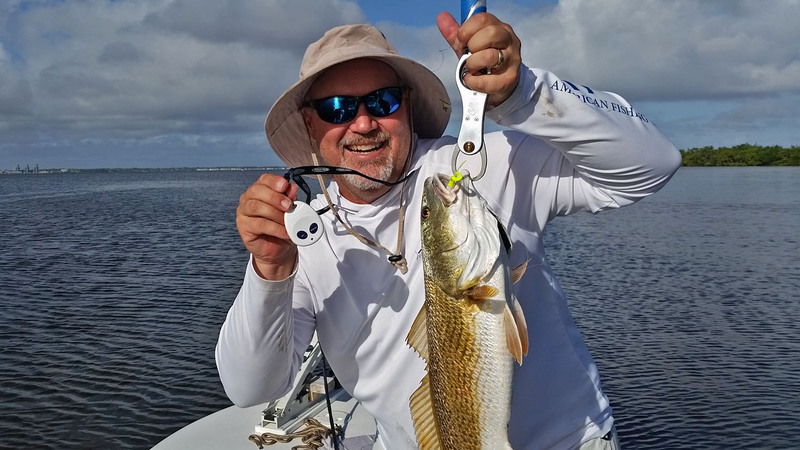 Now go fishing, because you can’t afford not to go test it! !